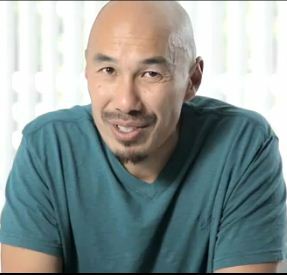 Continuing on in this conclusion to this 2-part episode, Ray and Steve respond to the promotional video for Francis Chan’s forthcoming book “Erasing Hell”. Much more than just a response to Chan, however, this episode touches on lots of thoughts related to revelation and how much we can know and understand about the Father. There may be more (and possibly even different) discussion once Chan’s book comes out and we can see exactly where he goes with his thoughts. But it is important to note that Ray and Steve are not responding to what they think Chan will write about. They are merely responding to the actual statements made in the video. Two comments (the second less serious). I remember the first time I read Jesus’ prayer in John, when I was a teenager, like a zillion years ago. I saw this it as a glimpse into this private moment between Jesus and His dad, and I was being invited into the relationship. I saw the concept of unity. I think I saw this because I didn’t grow up in the church. Listening today, I was reminded again of how affirmed I have been by this out of the box, wild, free community. For years I kept feeling I must be reading the book wrong; it’s so nice every time I hear other people express my thoughts. I had to chuckle a bit at your Weeble reference. True story, my older brother worked for a development company and actually built the prototype for the weeble. After that he worked on a project to do something similar for the B.C. character riding around on the wheel. They were able to make a working model, but the artist wanted too big of a cut for the toy company to produce it. There has to be a joke in there somewhere about being too big for your wheel. I saw this it as a glimpse into this private moment between Jesus and His dad, and I was being invited into the relationship. So well said! That is it in a nutshell. I believe that we are being invited into the community of the Godhead! Wow! Did I just say that? One with GOD…Whew! Listening today, I was reminded again of how affirmed I have been by this out of the box, wild, free community. For years I kept feeling I must be reading the book wrong; it’s so nice every time I hear other people express my thoughts. That is one of the core things we want this podcast to be about; giving people permission to believe the voice in their hearts that says “God has to be better than that”. Thanks for encouraging us that we are heading in this direction. Your words too, are very affirming!